SAMARA, Russia (AP) It was the breakthrough everyone expected of Christian Eriksen. It just wasn’t the result. It was the Tottenham standout’s 17th goal for Denmark in his last 20 international matches. Eriksen had an assist in the opener, a 1-0 victory over Peru. Denmark has four points in Group C, with the team’s final match against France on Tuesday in Moscow. Following France’s 1-0 victory over Peru in the late group match on Thursday, the French secured a spot in the knockout round while Peru was eliminated. 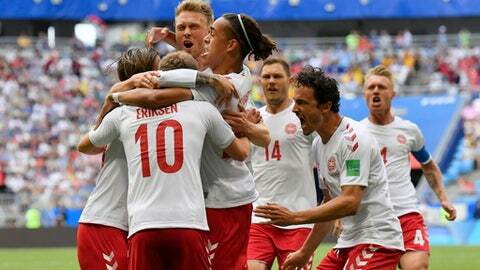 Denmark will advance with a win or draw against France, or a loss or draw for Australia in its final match against Peru. But his effort wasn’t enough against Australia.